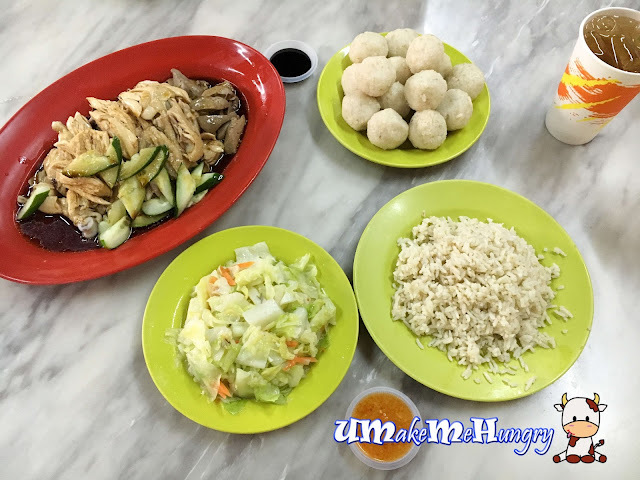 Hoe Kee Chicken Rice is one of the popular chicken rice shop in Melaka for Hainanese Chicken Rice Balls. Had passed by Hoe Kee a few times but it was always closed and I had never gotten the chance to enjoy their Chicken Rice even though there are a few players out there like Famosa, Chung Wah etc about 100m apart in Jonker Street. 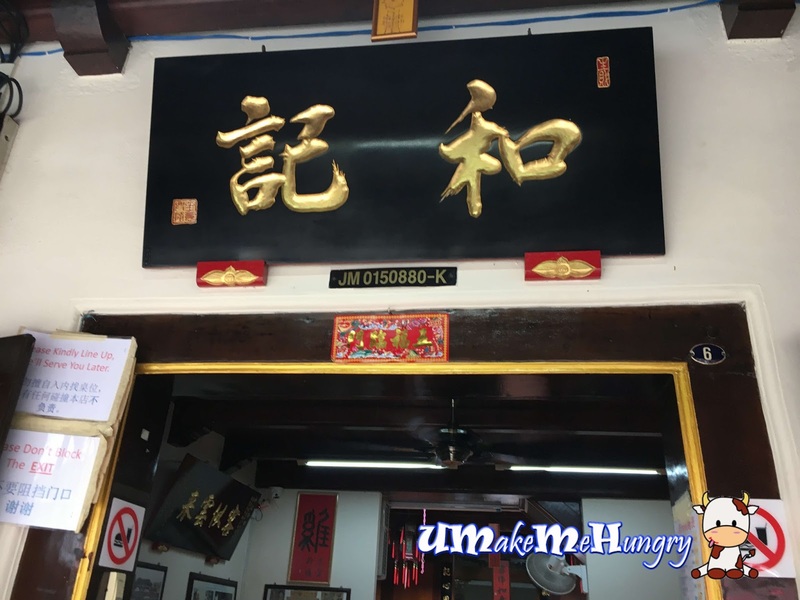 Hoe Kee is easy to locate as it is just located right next to San Shu Gong Shop (if you are looking for Malacca traditional biscuits, candies and stuff you should know where it is). Even looking at the queues, we did not surrender the idea of having their chicken rice. We joined the queues and not soon after, we got our seats. Service was impeccable and perfect team work was seen in the restaurant. 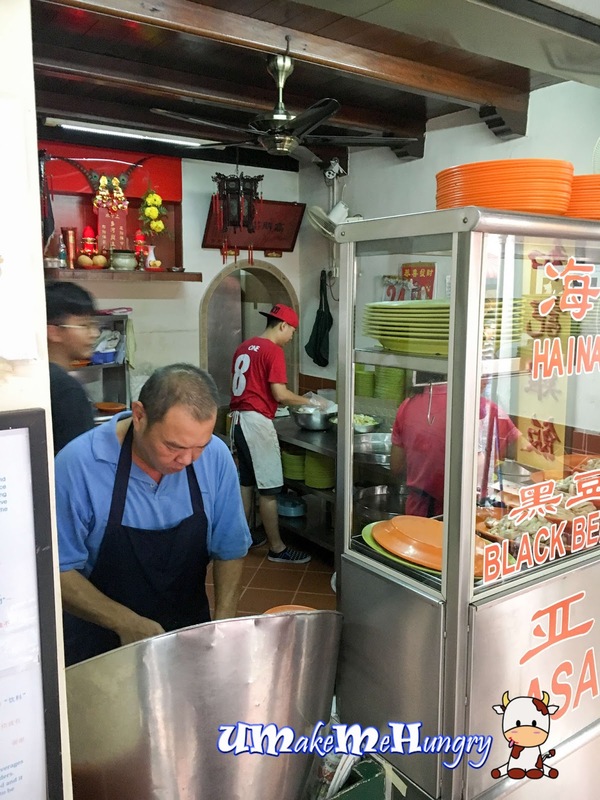 While in the queue, we were looking into the kitchen observing staff preparing the orders and at the same time deciding what we should order. We noticed that many had ordered their cabbages and Asam Fish Head. Since it is very crowded, some exceptions were made up front but Hoe Kee, example, taking away service is not available and during busy times, they may not have enough rice ball, thus they will serve loose rice too. Throughout the session of queuing and dining, this uncle had never stopped concentrating on his continuous chopping of chicken. Menus were all pasted along the corridor and had gave us a good average calculation of how much we can spend in a meal. 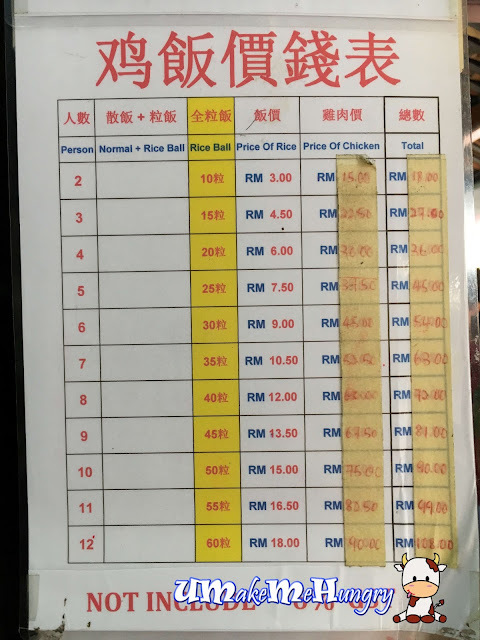 For chicken rice balls and meat, this menu serves a very good guide base on how many one should order. 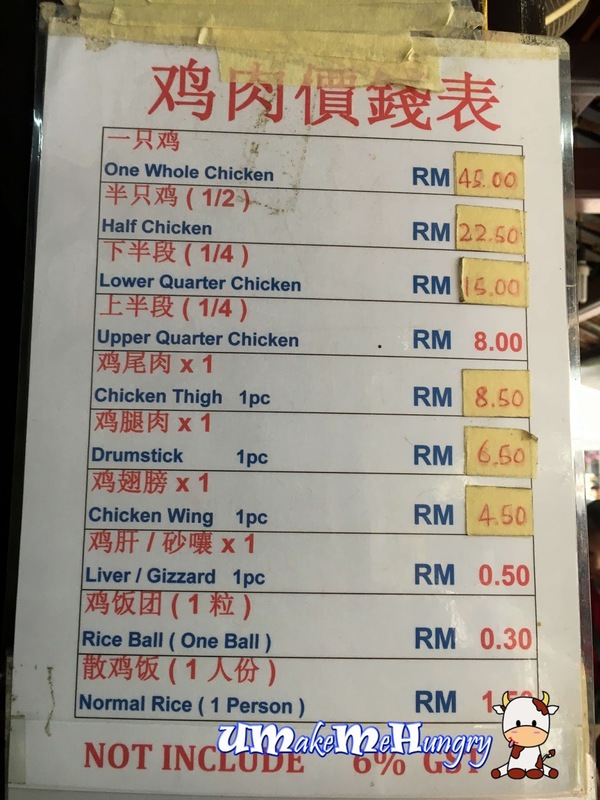 And if you have specific chicken portion and parts to order, this menu is quite handy to you. Orders were make during our queue and even for big groups, I would say the staff did a very good job by allocating seats well. As soon as we sat in, orders came. 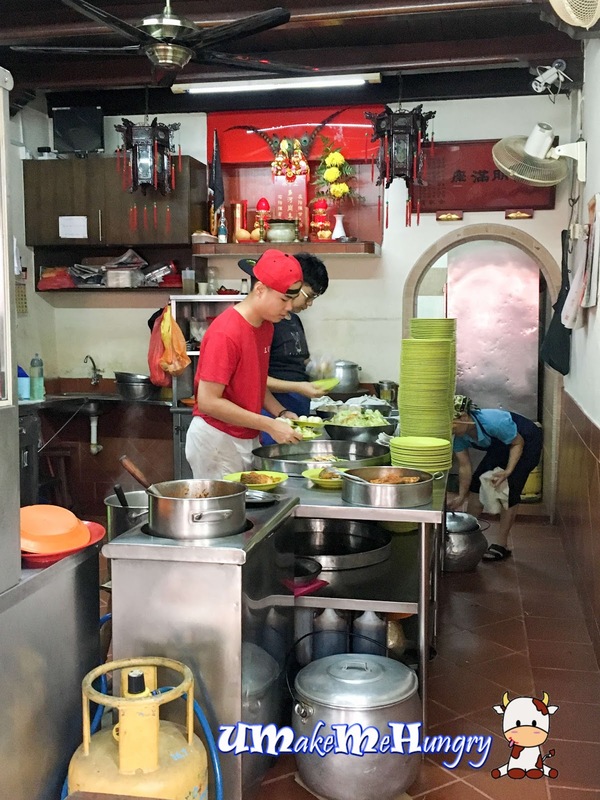 Communications are efficiently and fluently pass down to servers and kitchen. I love its interior as it had portray a very traditional feel like those ancient Chinese shows we watched through the television programs. It looked like a walk back into the olden dynasty but in our modern clothing. 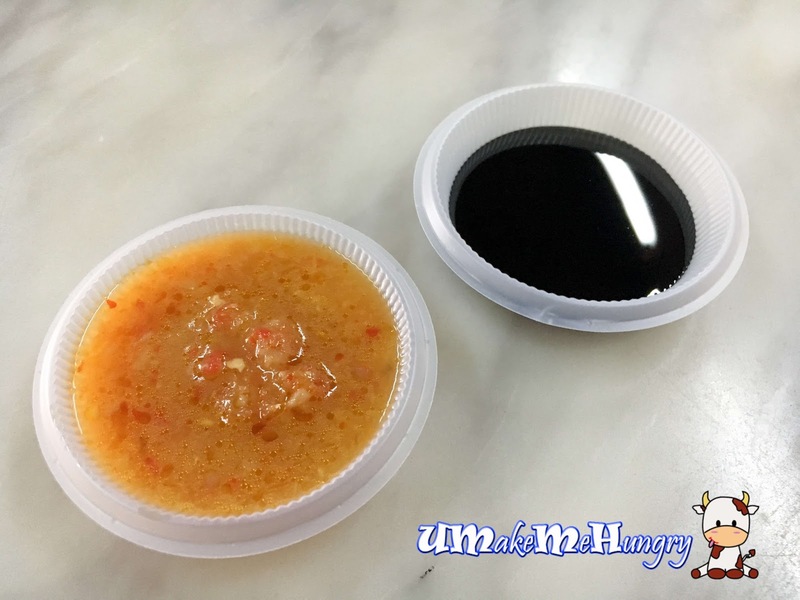 Before the dishes arrived, we took some chilli and black sauce. Chilli was fiery but come with a tad of sweetness within. 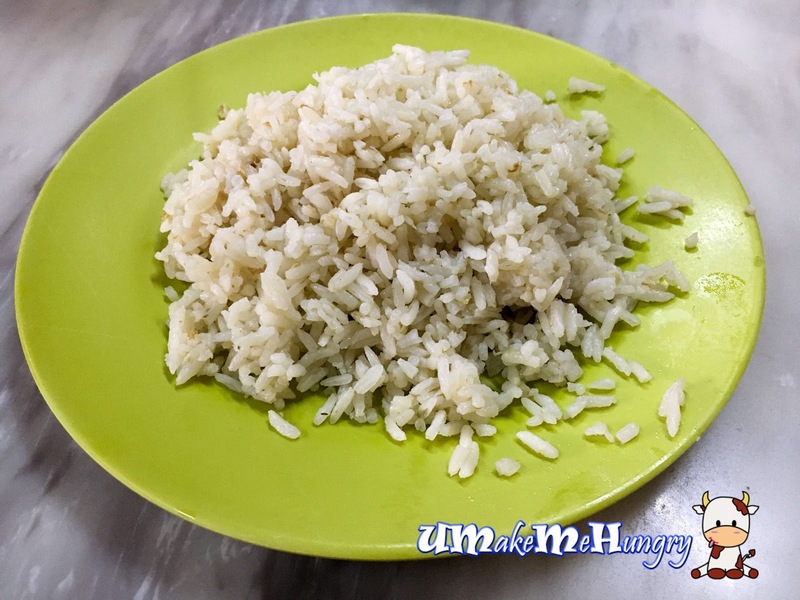 Loose rice was fluffy and fragrant, my perfect craving on and empty stomach. 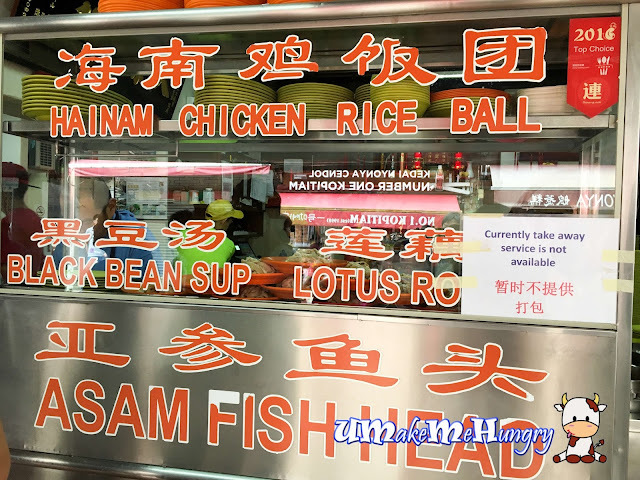 Comparing the Rice Balls to the loose rice, they are stickier and packed with lesser fragrant. 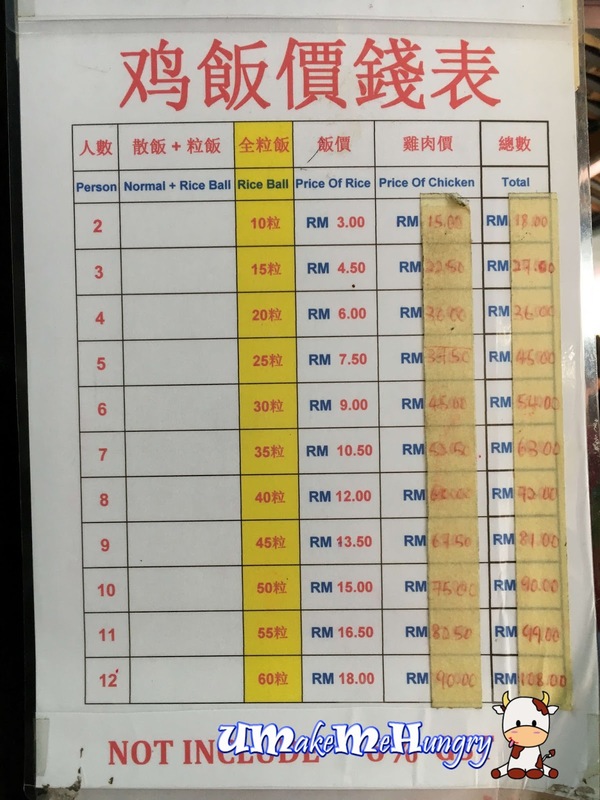 According to the chart written by the restaurant, the guide for 1 pax will be 5 rice balls. 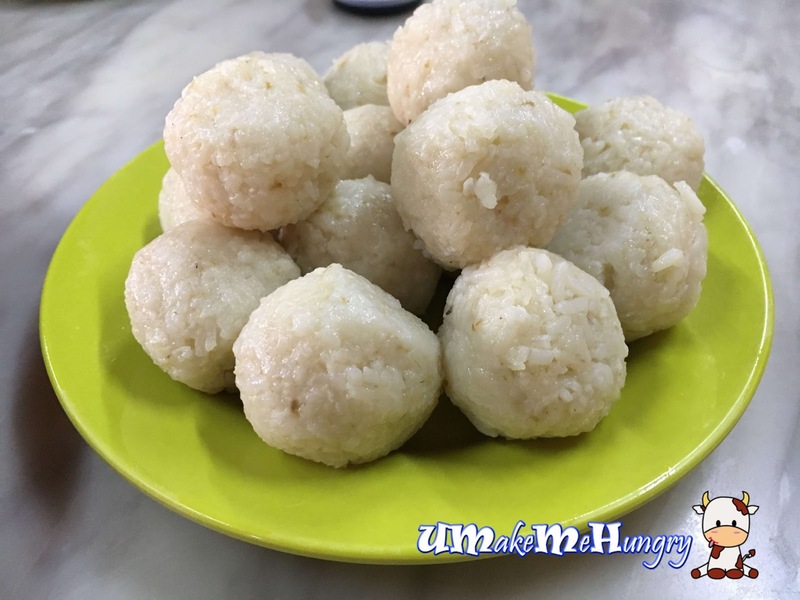 Each rice ball is small like Ping Pong size. 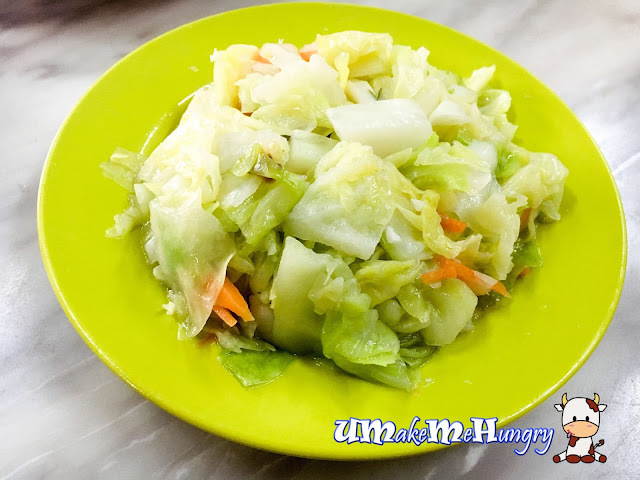 There are no other vegetables except for the small plate of Beijing Cabbages with carrots. It tastes sweet and ordinary if you want to have some greens. The portion paid is based on the number of pax you ordered. 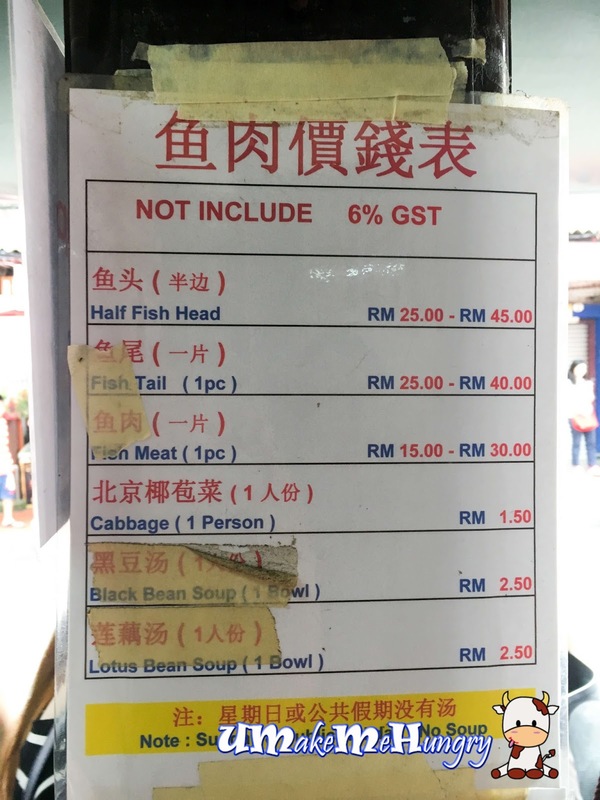 We ordered half a poached chicken to share among 3. 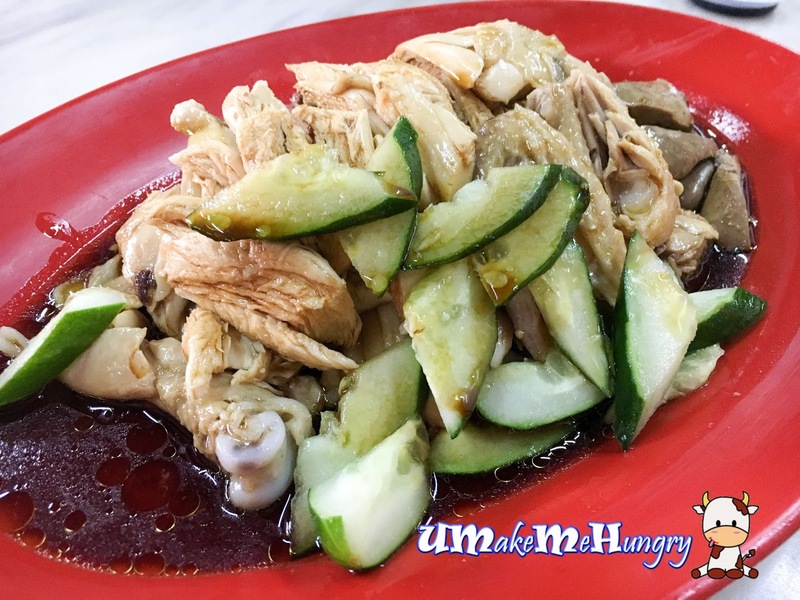 It was drenched and soaked up with fragrant light soy sauce, delectable with crunchy cucumber slices. Chicken was succulent and taste was to die for. 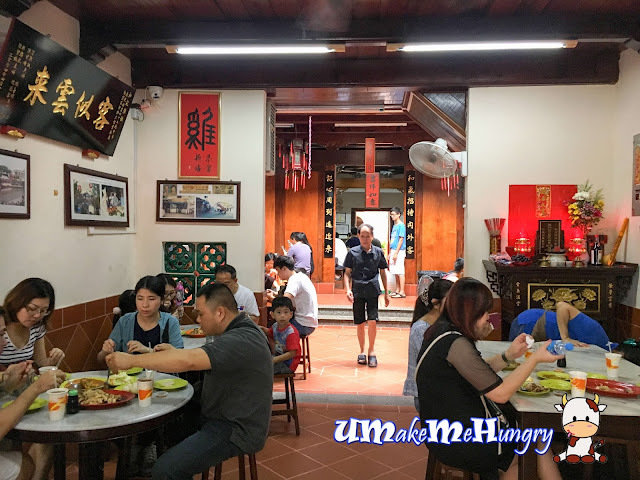 Being in Malacca for a few times, having chicken rice balls is a must have in my meals but beating the crowds, queuing up for the staples food of Malacca can be time consuming too. 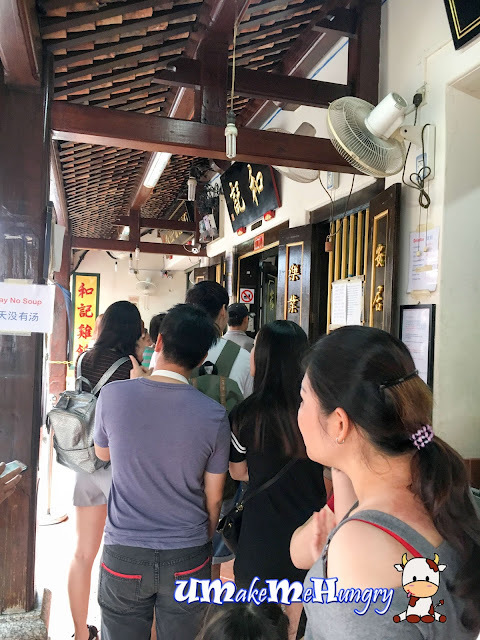 Unlike Famosa, there is only one Hoe Kee Chicken Rice shop, I guess queues are inevitable. 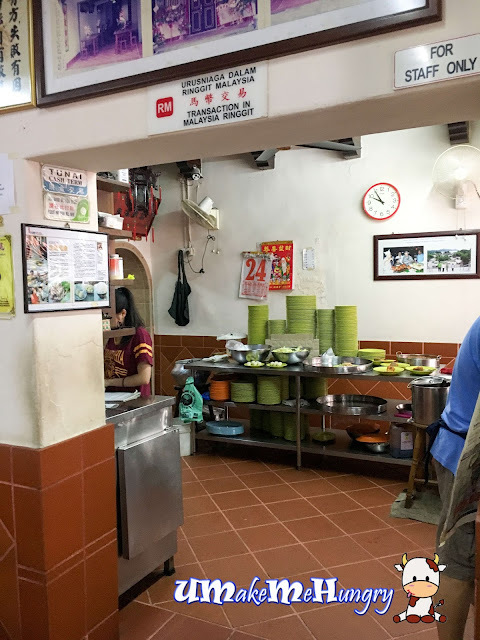 However, I'm glad that we do not have to make advance reservations like those Nyonya Restaurant to enjoy such chicken rice meal.